Akshay Kumar Starrer Gold becomes first Bollywood film to release in Saudi Arabia!! 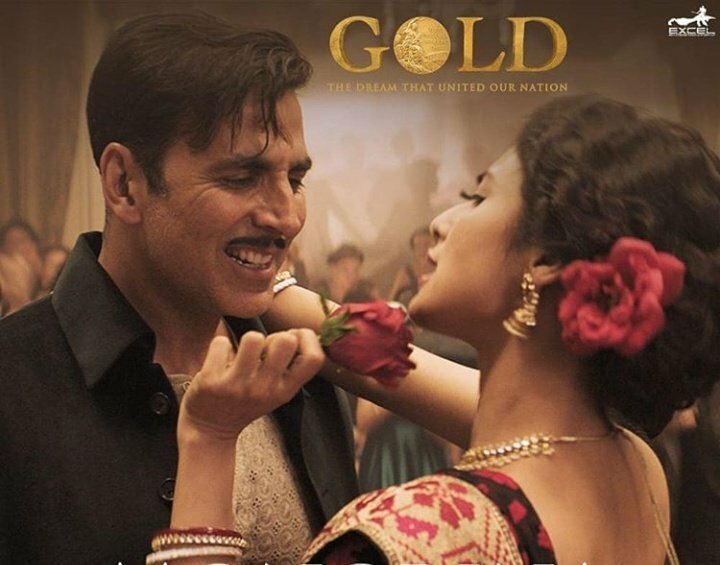 Gold has become the first Bollywood film ever to release in Saudi Arabia starring Akshay Kumar. The Reema Kagti-directed sports drama film is only the second movie after Rajinikanth’s hit social drama, Kaala, to hit the theatres in the Gulf country. Akshay today took to Twitter to share the news. “The story of India’s first Gold medal victory for the first time in the Kingdom of Saudi Arabia. Happy to share, #Gold is the first ever Bollywood movie to release in the Kingdom Of Saudi Arabia, in cinemas from today! @excelmovies @ZeeStudiosInt,” he wrote. Gold, is about a fictitious Indian hockey teams first gold medal win at the Olympics in 1948, marks Akshay’s eighth consecutive success. Prior to it, the actor had delivered hits such as Pad Man (Rs 78.22 crore), Toilet Ek Prem Katha, Jolly LLB 2 (Rs 117 crore), Rustom (Rs 127.49 crore), Housefull 3 (Rs 109.14 crore), Airlift (Rs 128.1 crore) and Singh Is Bliing (Rs 89.95 crore). Gold also features Mouni Roy, Amit Sadh, Kunal Kapoor and Vineet Kumar Singh, the film released on August 15. Dangal’ Girls Fatima Sana Shaikh And Sanya Malhotra Dance On The Streets Of Europe; Video Goes Viral!! Lady Gaga Hot And Sultry Looks Upped Glam Quotient!! !